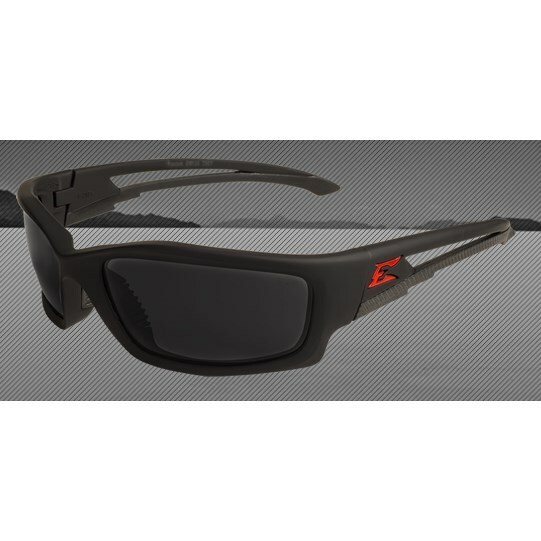 Safety Glasses; Type Non-Polarized; Frame Material Nylon; Frame Color Matte Black; Lens Tint Smoke; Application UV Protection; Applicable Standard ANSI Z87.1; Includes Red Edge LogoEdge Eyewear is committed to maximizing eye safety. This serious responsibility requires rigorous testing to ensure compliance with the highest national standards. Every pair of Edge glasses is subjected to the toughest tests – because tough tests create tough glasses. When it comes to something as valuable as eyesight, we wouldn’t manufacture anything less than the best.